We are particularly aware of the advantages of immediate treatment and of minimising the post injury inactive period. Manual therapy plus effective full rehabilitation exercise programmes, with an emphasis on reintegration back to full activity, can help prevent recurrence of the same and similar problems. 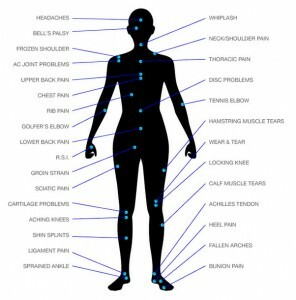 After taking a detailed history, a thorough musculoskeletal assessment is carried out to identify the exact nature and extent of the injury. Any underlying biomechanical problems that may be contributing to the problem are identified e.g. posture, feet, improper sports technique. This is a carefully graded system for reducing pain and restoring normal movement to the joints, soft-tissues and nervous system. The system includes stretching, slow movements such as mobilisation and quick movements such as manipulation. Exercises are specifically designed for each individual and injuries are rehabilitated from beginner to advanced. You are under careful supervision of a Chartered Physiotherapist in our fully equipped gymnasium, and are carefully monitored so you can feel safe and secure in gaining fitness to return to work, normal activities and your level of sport. We cater for athletes up to Olympic level. A maximum of three participants per class allows for a high level of care and individual feedback. The classes are taught by a Chartered Physiotherapist. Home exercises are scientifically designed to help your posture, improve the mobility of your spine and joints, and stabilise and strengthen the muscles that support your bones. We have been using the Norwegian system of medical exercise therapy for the past 25 years. Childrens Feet: Eileen Murphy has specialised in Paediatric Biomechanics in children (in-toeing, out-toeing, flat feet). A careful assessment of the child is carried out and prescriptions made as to the development requirements of the child. It is scientifically proven that exercise can maintain and restore bone density. We design safe and effective strength training programmes for people with osteoporosis, in combination with an overall programme of advice and management. 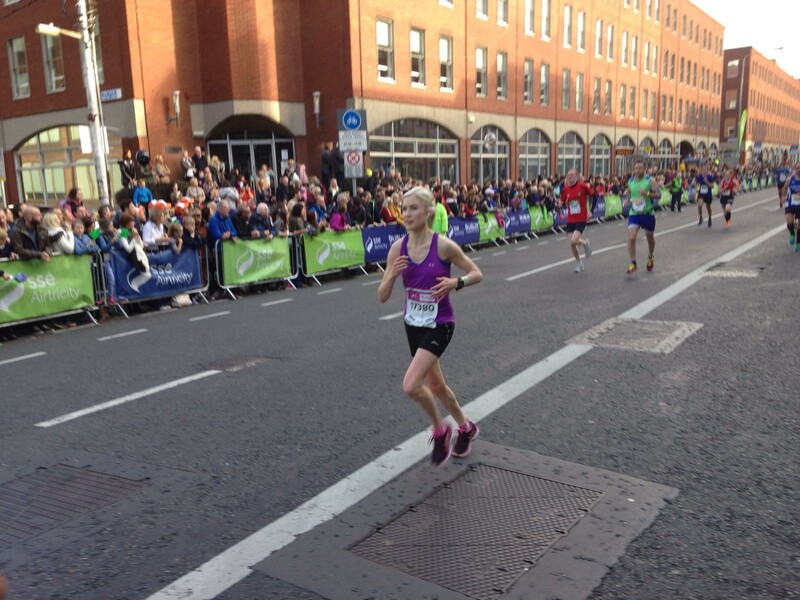 The running clinic at Dublin Spine and Sports Physiotherapy is led by a Chartered Physiotherapist with a strong running background. It provides a comprehensive approach to analysing and improving your running technique. A running assessment analyses your running form at various speeds. It is carried out on a treadmill with video analysis. During this assessment the physiotherapist analyses your running technique using slow motion video recording. Assessment takes a whole body approach – with analysis including everything from your foot position and lower leg movement, to torso and arm mechanics. Based on your running assessment, the physiotherapist can provide you with a running re-education plan. This is aimed at correcting any deviations from optimal running form. 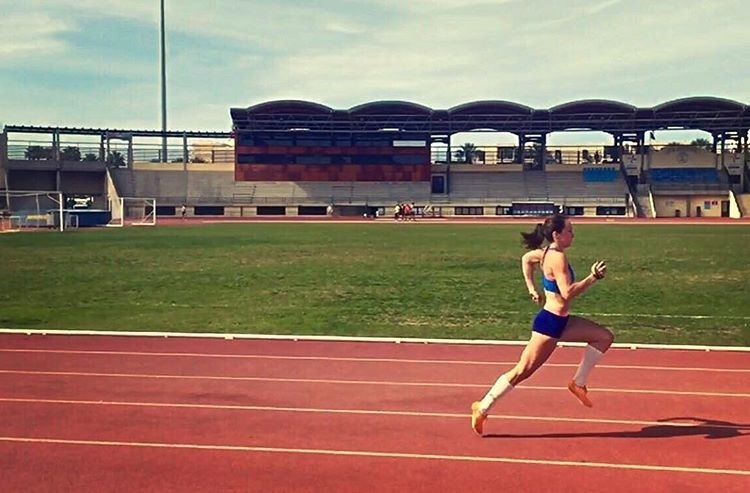 It includes cues to facilitate changes in running style, drills which help to achieve the desired running form and a stretching/strengthening programme as required. This service is offered by Ciara McCallion who is an international track and field athlete and Chartered Physiotherapist. 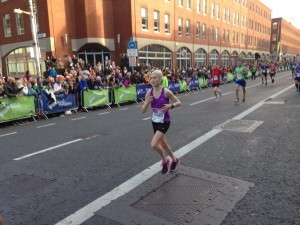 Ciara also has a keen interest in biomechanics and has been published in scientific journals on the subject of running mechanics. With marathon season upon us, niggles can quickly develop into injuries if not addressed, with the increase in mileage and number of days spent running. Lisa Branigan is a Chartered Physiotherapist, who has run 9 marathons and 11 half marathons so while treating injuries and addressing muscle imbalances found during the Running assessment, she can also give training and race day tips. Strength and conditioning exercises are essential to supplement the running training to prevent injuries developing or reoccurring.